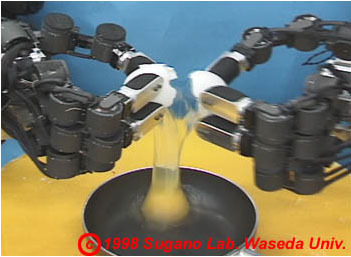 TWENDY-ONE is an advanced version of the WENDY robot (Waseda Engineering Designed　sYmbiont) which was developed in 1999 in Sugano Laboratory, Waseda University. WENDY equipped the passive impedance mechanism in each joint of its two arms. 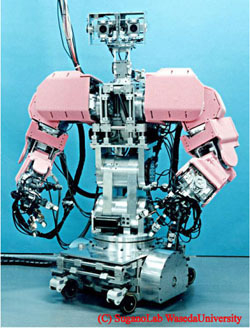 Passivity is a key technology which is required for robots to perform various tasks with human in daily life. WENDY also has the human mimetic dexterous hand and it is the first robot in the world, which could break an egg skillfully.